Just north of the city of Naples lies ancient Baia. 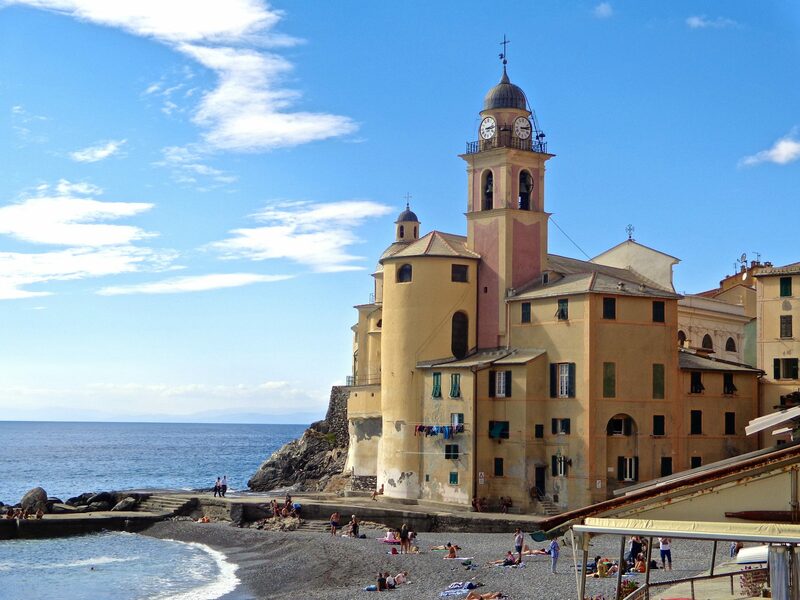 It is a quiet little town on the Mediterranean with a small bay of sailboats and motor yachts. Life is laid back and simple here. Families gather at the waterfront park to cheer on a game of water polo while friends and couples share a meal of pizza and espresso at a small cafe. The single lane roads wind up and down over the hilly terrain accompanied with walkers more often than cars. A mecca of peace. But this wasn’t always so. Did you know that Baia was the playground of the extremely rich and wealthy from the first to the third century AD? Baia far surpassed Pompeii, Herculaneum, and Capri as a desirable resort full of hedonistic temptations. Rumours of scandal and corruption filled the palace halls and baths. Julius Caesar, Nero, Hadrian and Caligula had spacious pleasure palaces built along the shoreline. Much of the town was considered imperial property under Augustus. What was the big attraction to Baia? To begin with, Baia sits on an active volcanic area known as the Phlegrian Fields. During the Roman empire, engineers constructed a complex system of chambers that brought heat beneath the surface into bathing facilities that became saunas. These baths were used for medicinal purposes as well as relaxation. Remains of a thermal bathing complex can be seen today close to the water where the land rises on a hillside. Remember the Trojan Horse? It was Baius, also known as Oddysseus, who came up with the whole strategy of building and hiding his Greek warriors inside the wooden horse. After they entered Troy, they came out from hiding and fought. Baia was named after this heroic figure, who is believed to be buried there. Whether the legend is true or not, what became of Baia? Where are all those luxury palace ruins? 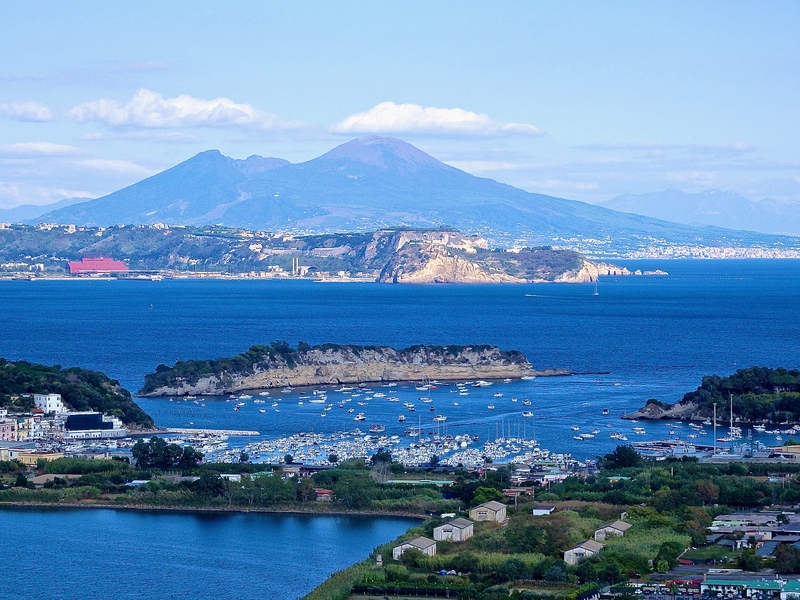 Because of the volcanic activity of the area, most of Baia is now underwater in the Bay of Naples. Very little is left of these palaces, but a glass bottom boat operates regular excursions out to view these ruins in shallow water. Today Baia is an archaeological playground. It was here the renowned Roman writers Virgil, Cicero and Horace hobnobbed with the wealthiest. Baia, the metropolis of hedonism, washed away by the waves of time. toward. “I want this drawing to be sold and the money to be given to the women of Beslan,” the designer said. is constrained to a small clandestine group. For two years residing there, I became a local and got used to it. Downtown area is crrrrazzzeeeeey! Gorgeous photograph. I like the idea of pizza and espresso! Thank you Tammy…Pizza and espresso (or vino:)) always sound so good! What a great post! I love the history you included–especially the Trojan Horse Connection! I had never heard of this place. I definitely have to visit! Thanks for this post. A presto! Your welcome, and my pleasure. Do visit…. Thanks Lyn. Yes, I know what you mean. These little places with lots of history underneath the layers are my big love. The Bay of Naples has a wide strip of waterfront that has one of the best passeggiatas I have ever experienced. Yes, it truly was quite an experience! Fun post to read again. I don’t think I knew about the Trojan Horse connection or Caligula’s stunt. However, I have been to the Phlegrian Fields to see the steam puffing up twice. The first time was (I hesitate to say) in 1961, my first trip to Italy. Then we saw the underwater palaces too. The last time was a couple of years ago when I hired a driver from Sorrento to my hotel in Naples with a stop at the Fields on the way. I don’t remember how much we could wander, but I do remember ruins of baths there too.